Global markets are now more important than national markets for small and medium-size countries, and approaching that status for large economies. The emergence of such a truly global capitalism means that more and more economic activity will no longer be embedded in the politics or regulatory systems of various nation-states. WASHINGTON, DC – From the end of World War II to the mid-2010s, economic globalization progressed relentlessly through expanded trade, proliferating capital flows, faster (and cheaper) communication, and, to a lesser extent, human migration. Yet, even as these linkages have deepened and multiplied, the global economy has remained fundamentally a collection of national economies, each embedded in national politics. This is now changing. In the democratic countries that have built the market capitalism that dominates the world today, the building blocks of the economy – taxation, public spending, and regulatory frameworks – are enacted by the legislature and interpreted by the legal system. This lends legitimacy to them and the economic activities they facilitate. But a shift is occurring: global markets already are more important than national markets for small and medium-size countries, and they are approaching that status for large economies. In less than a decade, it will be the huge world market, rather than national markets, that allocates capital, finance, and skilled labor. Many firms will be truly multinational, with headquarters located in one place (probably where tax liabilities can be minimized), production and sales happening largely elsewhere, and managers and workers sourced from all over the world. The emergence of such a truly global capitalism – a process that, to be sure, is far from complete – means that markets will no longer be embedded in the politics or regulatory systems of various nation-states. If they are to produce desirable outcomes, they will need to be embedded more deeply in – and regulated more effectively by – global institutions. Of course, international economic institutions – from the International Monetary Fund and World Bank to the economic bodies of the United Nations and the World Trade Organization – already exist and have long served as platforms for member states to adopt shared rules. The IMF and the WTO, in particular, have acquired some real regulatory authority in macroeconomic and trade policy, respectively. Domestic politics were largely eschewed in establishing and sustaining these international institutions. Though treasuries, central banks, and trade ministries – especially of the advanced countries – acted politically, they did so with very little public debate. Even today, the average citizen in the United States, France, or India knows little about what the WTO actually does. In other words, the emergence of a global market is not embedded in any legitimacy-conferring political process. Multilateral institutions are thus viewed as elitist, making them a political target. This is reminiscent of the European Union’s “democratic deficit,” which has fueled resistance to further integration. In fact, resistance to global capitalism is also rampant and rising. In particular, US President Donald Trump espouses a kind of “go-it-alone” neo-nationalism. Far from deepening multilateral structures, he wants to dismantle them, dislodging the global market from the regulatory institutions in which it is already only weakly embedded. At both the national and international levels, Trump believes that the less regulation, the better. The EU, meanwhile, pursues the opposite line. Despite the internal challenges it faces, it continues to try to regulate markets beyond national borders. This year alone, the European Commission has imposed over €5 billion ($5.8 billion) in fines on Alphabet Inc., Google’s parent company, and Qualcomm for breaching antitrust restrictions. And with its General Data Protection Regulation, the EU has sought to tighten restrictions on the use, sharing, and control of personal data. Because the EU has such a large market, such actions have a far-reaching impact. But when it comes to setting truly international standards, the EU obviously falls short. This has become all the more true with figures like Trump actively working against its efforts and espousing deregulation at a time when the level of global economic interconnectedness demands just the opposite. Allowing major multinational companies, which are already reaping massive profits and crowding smaller players out of entire industries, to avoid paying much tax does far-reaching damage, not least by exacerbating inequality and weakening public budgets. But such firms can be regulated effectively only through multilateral cooperation. Likewise, the only way to make any headway on combating the effects of climate change is for all countries to work together. 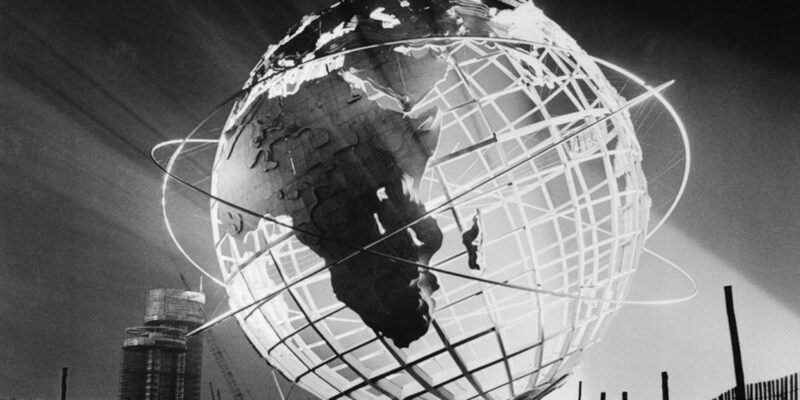 The realities of today’s global economy demand that we make multilateral institutions work. That means not only increasing the clout of existing institutions – here, reform is a prerequisite – but also establishing new institutions, such as a Global Competition Authority. None of this will be possible without a real global political debate. Of course, the emergence of a global politics has far-reaching potential implications for traditional ideas about democracy, not to mention national sovereignty. At the same time, however, allowing the global market to function without adapted regulation, enacted by legitimate and effective international institutions, would amount to abandoning the essence of democracy. The challenge ahead has been presented by Harvard economist Dani Rodrik in the form of a trilemma: when it comes to democracy, national sovereignty, and globalization, we can have any two, but never all three. Rodrik advocates less globalization and more democracy. Nationalists like Trump prefer strengthening the nation-state, in ways that could weaken both democracy and globalization, at least in the longer term. In the medium term, however, further globalization seems unavoidable, meaning that it is the nation-state, and national politics, that must be constrained. One way to lend legitimacy to the new global politics would be to ensure that it is grounded at the local level. This will require local political leaders to adopt a narrative that explains how global problems impact their constituents. Climate change is a successful example of this form of localized global politics. Whatever institutional arrangements are chosen, ensuring that a new global politics strengthens, rather than undermines, democracy is the central political challenge of the twenty-first century. We can no longer afford to shy away from it.